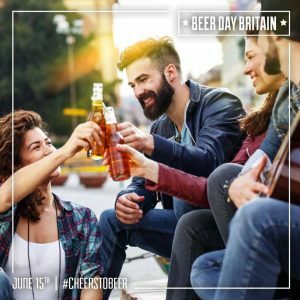 Who is behind Beer Day Britain? Beer Day Britain was instigated in 2015 by Jane Peyton (award winning beer sommelier, drinks educator, broadcaster, author, events producer and founder of the School of Booze). Jane is the driving force and project manager. Beer Day Britain is supported by all the major organisations in the beer industry including Britain’s Beer Alliance, Society of Independent Brewers, British Beer & Pub Association, and the Campaign for Real Ale. Thanks to all those organisations!